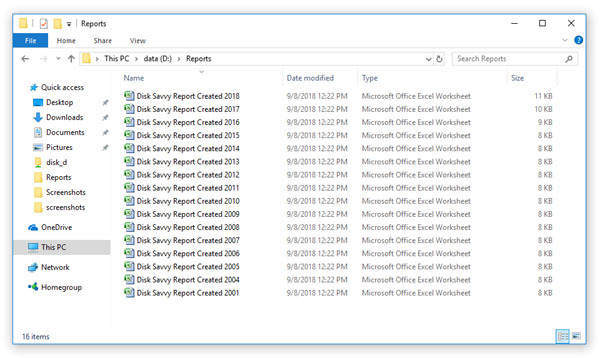 DiskSavvy allows one to save batches of disk space analysis reports according to the currently selected categories of files with each report showing the number of files per directory and the disk space usage for a corresponding category of files. For example, let's assume that we need to save disk space analysis reports for the last 10 years with each report showing the number of files per directory and the disk space usage for all files that were created during each year. 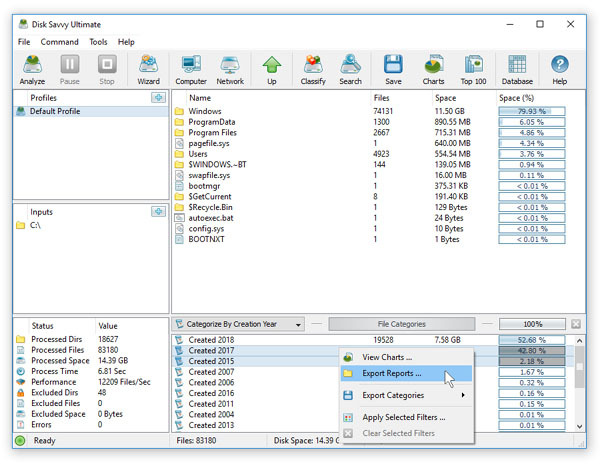 For each selected year, DiskSavvy will filter disk space analysis results by the file creation year and save an individual disk space analysis report in the specified destination directory with each report file name and report title containing the corresponding file creation year.